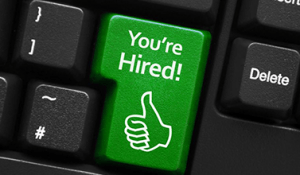 Hiring the right talent for your technology-empowered marketing team is not always easy. Jerry has gone well beyond simply finding candidates with relevant skill sets. Jerry has worked to gain an in-depth understanding of our business, our culture and our goals. 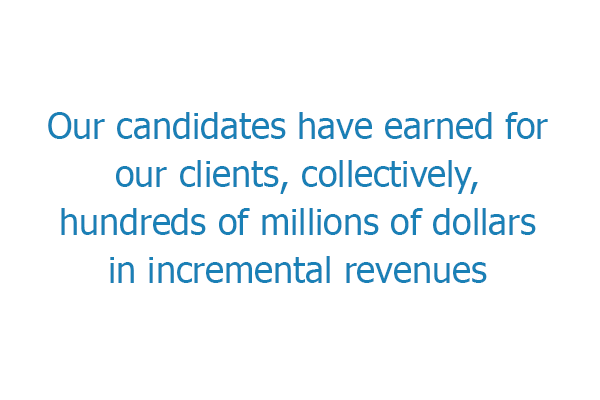 He worked even harder to find candidates that fit our business and organizational needs. Jerry is the go-to guy for finding digital and multichannel marketing talent. I might be a little biased since Jerry has placed me twice, but he knows where to find the right people and how to match them with organizations. He has been invaluable to me in terms of my own career as well as helping me build teams at my various engagements. Jerry is THE Direct Marketing Recruiter who stands out in this industry as being the most plugged in and knowing everyone who is anyone. I have known and worked with Jerry for years to find candidates that were top of their game. Jerry always delivers and is a consummate professional who can be trusted for his knowledge, connections and personal integrity. Without question, Jerry Bernhart is the best recruiter I’ve ever worked with. I recently needed to hire a V.P. of Direct Marketing and needed to do a thorough search. After researching the market, I chose Jerry and couldn’t be happier. He has a well-earned reputation as one of the nation’s leading executive recruiters in the multichannel marketing field. Jerry is a trusted and respected industry resource. He knows everybody, has a keen and deep understanding of the direct marketing and analytical arena and regularly provides us with data and insights via his quarterly survey. Jerry has been an excellent resource for me in filling important direct marketing roles, both at Bowflex (Nautilus, Inc.) and The Oreck Corporation. 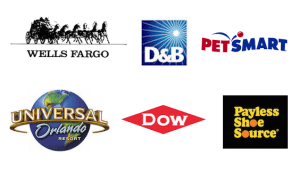 Jerry's contacts with direct marketers and e-commerce professionals is exceptional. Moreover, working with Jerry is a genuine pleasure. He's extremely dedicated, diligent and he does what he says he'll do - all with a great attitude. If you want the best recruiter in the CRM world, then you need Jerry. There is truly no one else like him: He knows all the major players at the big retailers (specialty, apparel, etc), and is considered the "go to guy" for hiring in CRM, direct marketing, and database marketing. He's been a fixture at CRM and direct marketing conferences for as long I've been attending. I've known him for 15+ years, and when I got laid off, he was the first recruiter I called. Not only is he a great recruiter with the highest ethical standards, but he's a wonderful friend as well. Jerry knows everybody in the CRM space and stays on top of not just the people but the trends. He truly looks to find the right fit for your company, not just place somebody. If you need help filling a CRM role, Jerry is a great recruiter. Jerry is a consummate professional recruiter. His direct and digital marketing industry connections, market knowledge, strategic vision, attention to detail, and tireless work ethic is unmatched....but what really separates him from the pack is his unselfishness. He will not recommend a candidate unless he is sure it's the right fit for all parties involved. He is THE best known and highest caliber headhunter in digital marketing and ecommerce- hands down!" I first hired Jerry 16 years ago while building the Insurance Division of Trans Union. His results were excellent and his customer service stood out from the crowd. Since then I have watched as Jerry became a recognized expert in digital marketing and direct marketing recruitment. 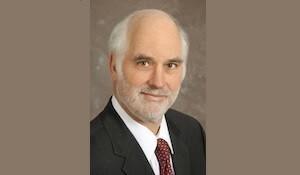 I recommend Jerry highly for any assignment that requires an experienced digital or multichannel marketing expert. I have known and worked with Jerry for over 20 years. He has more experience than anyone I know when it comes to recruiting great candidates in the analytics, online media, mobile marketing and marketing automation areas. Throughout my career I have relied on Jerry's expertise to find and place great candidates. I would work with Jerry anytime in the future and highly recommend him. Jerry is one of those recruiters who is completely focused on his client and the candidates needs. I have found Jerry to be a top notch recruiter -- he has so much knowledge about the needs businesses require in today's massive challenging environment. I can honestly say Jerry REALLY understands the business. 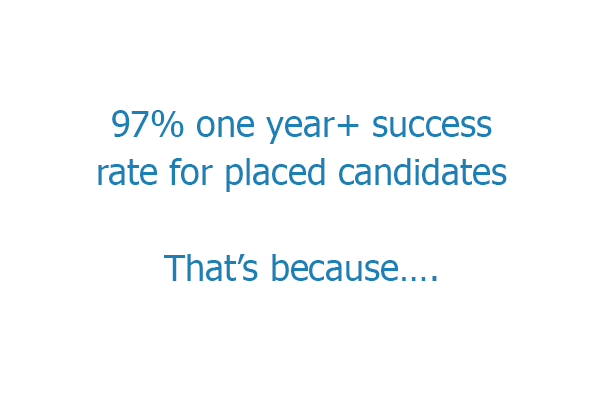 This is so critical in getting the best candidate. I've also heard from many candidates that they have found Jerry to be honest, the highest of integrity and an outstanding communicator. If you're looking for a recruiter -- call Jerry first... I promise it will be the best move you'll make. Jerry is a savvy and experienced resource for top notch direct response and analytical staff. His ability to find the "good fit" on both sides of the equation is exceptional, and his knowledge of the industry is terrific. I've known and worked with Jerry Bernhart since the mid-nineties and benefited from his recruiting services as well as his extensive network of personal contacts. I believe that Jerry Bernhart's experience and reputation are second to none. 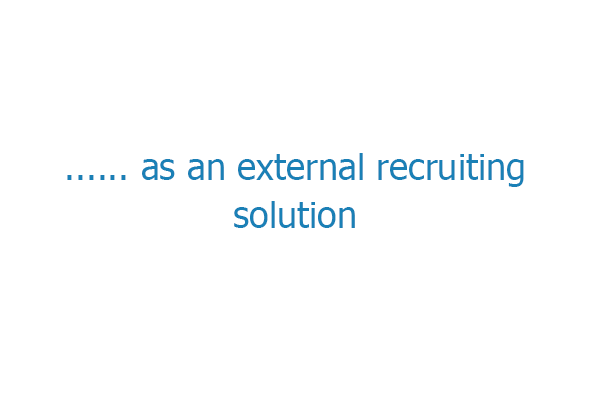 No other recruiter has the contacts, network and experience that Jerry does. His twenty five years' experience in the industry, his rolodex and his client list make him an exceptionally valuable resource. His quarterly Hiring Survey is also a unique and valuable tool for anyone following trends in the field. The results of his work have been helping multichannel marketing organizations grow and prosper for more than two decades. 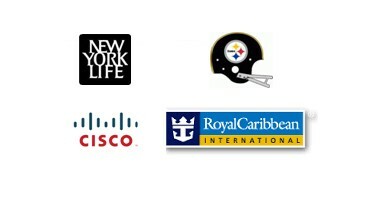 Expertise in marketing and media research and analysis. 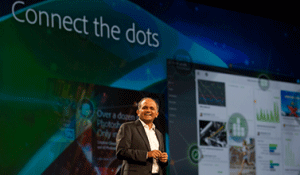 Adept at using data to develop insights that drive results. 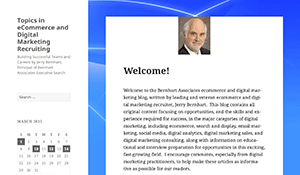 As a result of his quarterly Bernhart Associates employment survey, Jerry has a extremely thorough understanding of the latest trends in multichannel marketing hiring and employment. He provided many key insights when we partnered on a first-of-its-kind hiring report for the DMA, which we sold through the DMA bookstore and became one of our best selling research reports that year. Expertise in marketing and media research and analysis. Adept at using data to develop insights that drive results. 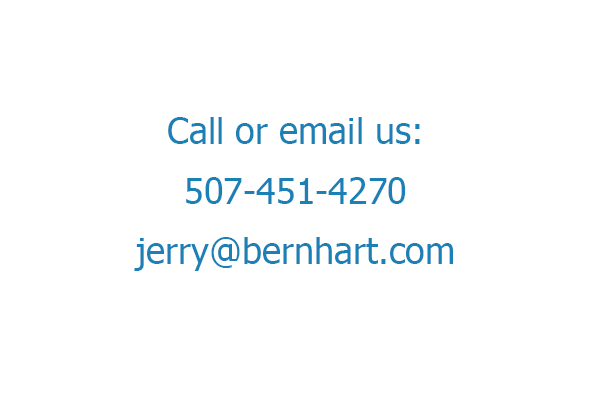 As a result of his quarterly Bernhart Associates employment survey, Jerry has a extremely thorough understanding of the latest trends in multichannel marketing hiring and employment. He provided many key insights when we partnered on a first-of-its-kind hiring report for the DMA, which we sold through the DMA bookstore and became one of our best selling research reports that year. Jerry has delivered for me, beyond my expectations. 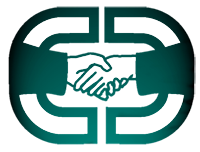 He has wide and deep contacts in the digital and direct marketing industry. His quarterly employment survey adds value to the direct marketing community and, in my opinion, serves him well in maintaining an extremely high profile in the direct marketing industry. He is very professional, has a sense of urgency and a operates with very high level of integrity. 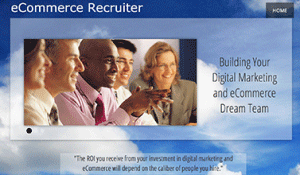 Jerry is the most knowledgeable recruiter in the database marketing industry. Our paths crossed many times as I was being recruited or I was recruiting my team. He is professional and effective. I highly recommend him! Between your articles, your conference presentations and your quarterly direct marketing employment survey, it is hard to imagine anyone in the digital and direct marketing industry who doesn't know who you are. We view you as a leading authority in the digital and direct marketing industry and we're always grateful for your contributions to DM News. Thank you for the outstanding job you did in helping us wih our Chief Marketing Officer search. 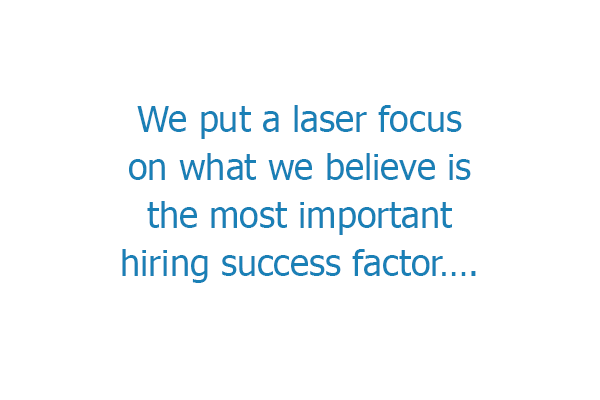 You took the time to truly understand our business and our culture, which was reflected in the caliber of your candidates who were well researched and pre-qualified. What I thought would be a very difficult search went very smoothly and was completed within the agreed upon time frame because of the great job you did. Well done! We couldn't be more pleased. 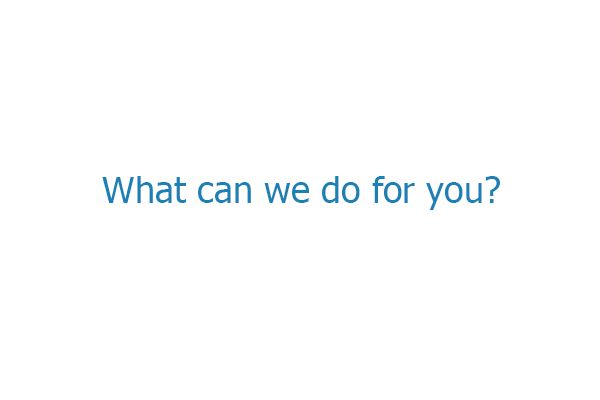 We chose your search firm over others because you not only had the track record of placement success in this specialized field, but you asked great questions when we discussed our opportunity with you. 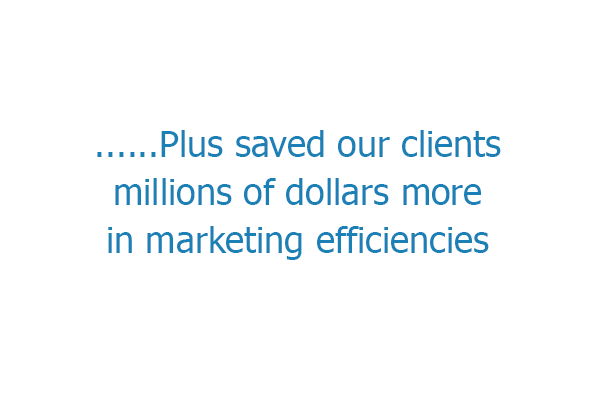 Your experience and expertise quickly became apparent, and we became convinced that you would be an excellent search partner for us- which you were, with the multiple candidates we hired through your firm. Great job! Without question, Jerry Bernhart is the best recruiter I’ve ever worked with. I recently needed to hire a Vice President of Direct and Digital Marketing and needed to do a thorough search. After researching the market, I chose Jerry and couldn’t be happier. He has a well-earned reputation as one of the nation’s leading executive recruiters in the multichannel marketing field. Throughout the assignment I was impressed by his industry and marketplace acumen and by his seemingly endless network of qualified candidates. Jerry is one of the rare people in the Direct and Digital Marketing Industry who truly get it - quickly and accurately understanding one's hiring needs and then matching it to his absolutely vast rolodex of talent. The candidates he presents are invariably on target and within spec. I have worked with Jerry on several roles, most recently for that difficult, high level Marketer, with both print and digital experience. He also placed me where I am now. Jerry nailed it. The latest numbers are in: 91% of my placed hires have been with my clients for at least two years. 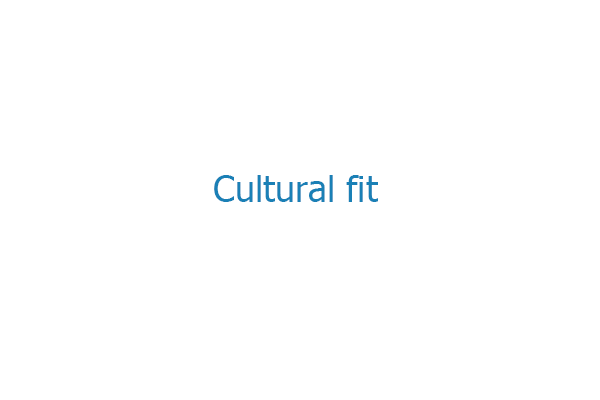 That’s because I put a laser focus on the number one hiring success factor: Cultural fit. My ebook, Careers in Ecommerce and Digital Marketing, the first book of its kind on career preparation and present/future employment opportunities in the major specialties of digital marketing, is available on Amazon, and has been recommended by digital marketing instructors at numerous colleges and universities across the country. 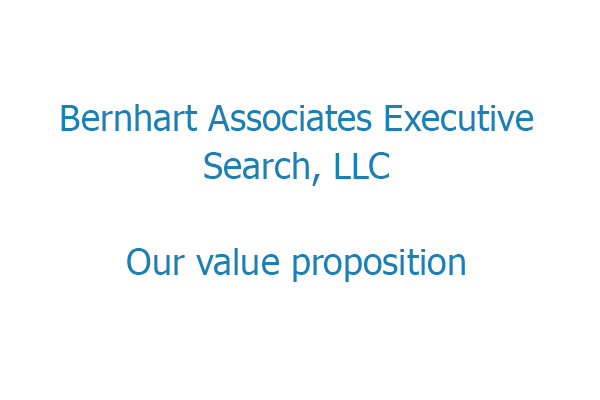 For nearly 30 years, Bernhart Associates Executive Search, LLC, has been a prominent boutique executive search firm focusing in Digital Marketing, Ecommerce, Data-Driven Multichannel Marketing and CRM across a wide spectrum of industries, agencies and service providers, B2C and B2B, from start-ups to Fortune 50. Viewed as a leading go-to source and authority in the recruitment of digital commerce and multichannel marketers, I have spoken at dozens of industry conferences, have authored scores of articles and white papers, and frequently quoted on best practices in digital commerce and multichannel marketing hiring and recruitment. Contributor to Bloomberg, AdAge, MarketingProfs, Loyalty360, DM News, Multichannel Merchant, BtoBOnline, Target, DigitalCommerce360, Chief Marketer, the Mobile Marketing Association, the AMA, Data and Marketing Association, and many more. I am the only executive recruiter to have appeared twice on the cover of “Target Marketing” magazine along with other leading experts including DMA Hall of Famers Don Peppers and Martha Rogers and Merkle CEO David Williams, discussing how marketing industry trends are shaping the way digital and data-driven multichannel marketers do business. I was Director of Executive Search for the Database Marketing Institute for 11 years and among the country’s first recruiters to specialize in digital marketing, database marketing and CRM. 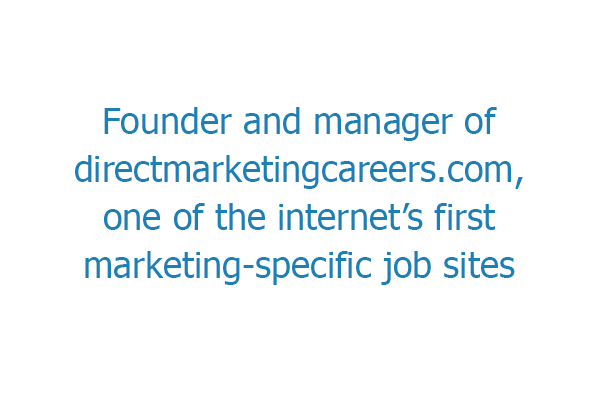 I was also the founder of directmarketingareers.com, one of the internet’s first marketing-specific job posting sites. This first-hand experience allows me to speak at a deep level about your digital marketing and ecommerce needs. 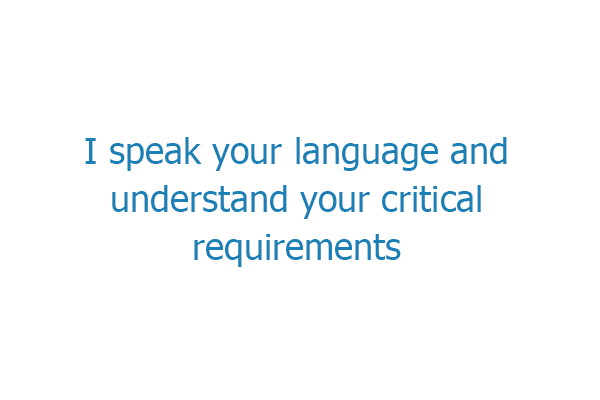 I also provide digital marketing and ecommerce experts on a contract and freelance basis. Looking for sample job descriptions? 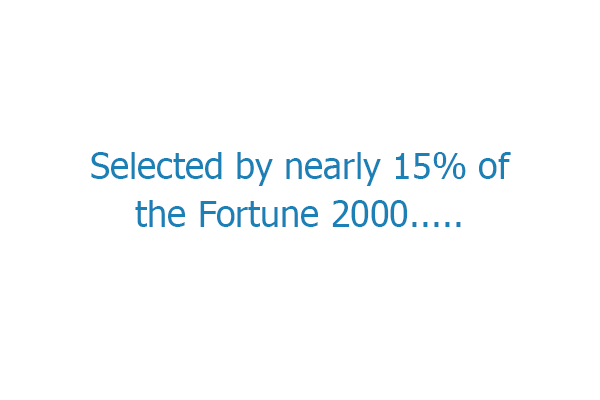 I have hundreds of them, at no cost, in every specialty of digital marketing. Digital and Multichannel Marketing Recruiter, and author on best practices in digital marketing hiring and employment, with placements made in Atlanta, Austin, Baltimore, Birmingham, Boston, Charlotte, Chicago, Cincinnati, Cleveland, Columbus, Dallas, Dayton, Denver, Detroit, Des Moines, Greensboro, Hartford, Houston, Indianapolis, Jacksonville, Kansas City, Las Vegas, Los Angeles, Lexington, Louisville, Madison, Ft. Lauderdale, Minneapolis, Nashville, New Haven, New York, Omaha, Philadelphia, Phoenix, Pittsburgh, Portland (OR and ME), Richmond, Rochester (NY), Salt Lake City, San Diego, San Francisco, Seattle, St. Louis, Tampa, Tuscson, Washington DC, plus dozens of other primary and secondary metro areas nationwide. Bernhart Associates conducts research on salary and incentive compensation data. Ask how I can help you ensure that your compensation packages are competitive. Digital, Ecommerce and Omnichannel Marketing Recruiter with placements made in Atlanta, Austin, Baltimore, Birmingham, Boston, Charlotte, Chicago, Cincinnati, Cleveland, Columbus, Dallas, Dayton, Denver, Detroit, Des Moines, Greensboro, Hartford, Houston, Indianapolis, Jacksonville, Kansas City, Las Vegas, Los Angeles, Lexington, Louisville, Madison, Ft. Lauderdale, Minneapolis, Nashville, New Haven, New York, Omaha, Philadelphia, Phoenix, Pittsburgh, Portland (OR and ME), Richmond, Rochester (NY), Salt Lake City, San Diego, San Francisco, Seattle, St. Louis, Tampa, Tuscson, Washington DC, plus dozens of other primary and secondary metro areas nationwide.